LOS ANGELES — The visual images left the Lakers feeling inspired for obvious reasons. 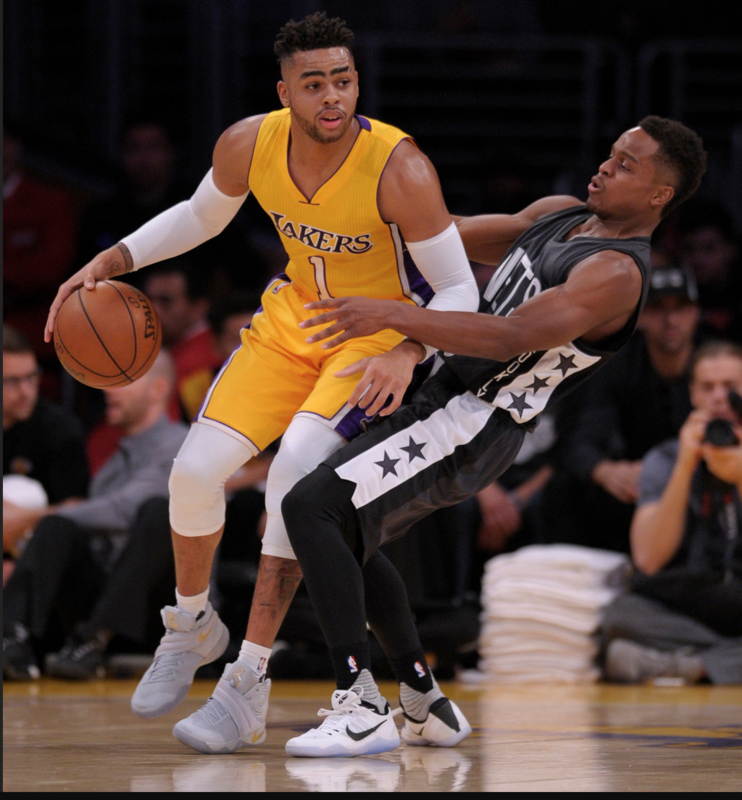 As D’Angelo Russell completed three-on-three full-contact drills and Nick Young worked on shooting drills, the workload brought them one step closer toward returning to the court. But it also provided another reminder on how much work remains before that will happen. The Lakers (10-15) listed Russell (left knee) and Young (right leg) as out for Sunday’s game against the New York Knicks (13-10) at Staples Center. Though Lakers coach Luke Walton held out the possibility Russell could play against New York, the Lakers suggested that is unlikely to happen despite completing all of Saturday’s practice. It appears more likely Russell could return on Monday against Sacramento in the beginning of a seven-game trip. Young completed most of practice before skipping the 3-on-3 drills because Walton said “he was feeling a little fatigued” after missing the last six games with a strained calf muscle in his right leg. Since the Lakers play on Sunday against the Knicks, Young will likely complete some 3-on-3 drills against some of the Lakers’ assistant coaches on Sunday in hopes to return Monday in Sacramento. As for Russell, Walton said he “looked great” during all of practice. In the practice portion that was open to the media, Russell played games of 3-on-3 with Jordan Clarkson and Metta World Peace against Marcelo Huertas, Brandon Ingram and Thomas Robinson. Meanwhile, Lakers reserve forward Tarik Black will miss his third consecutive game with a sprained right ankle. Walton described Lakers forward Julius Randle as “sore” after taking a fall on his hip against Phoenix, but he is expected to suit up against the Knicks.